ESET® , global security vendor with broad network of partners and distributors in more than 180 countries around the globe, announces that its exclusive partner in Japan, Canon IT Solution Inc., has won the prestigious Nikkei Computer Partner Satisfaction Survey 2015, winning the first place in 11 out of 12 categories and winning awards for best security products on market in category client management system. The Nikkei Computer Partner Satisfaction Survey 2015 was conducted from November to December 2014 and polled more than 1,000 employees in companies and organizations throughout Japan. The survey was carried out by Nikkei Business Publications, Inc. which is one of greatest contents provider in the country. This is the second recognition in a row for ESET’s partner in Japan. Canon IT Solution Inc. also previously won two awards for best security products on market in categories server/network and client management system in Nikkei Computer Customer Satisfaction Survey 2014-2015. ESET’s business model is built on indirect sales, which allows the company to offer its products worldwide via broad network of partners, distributors and resellers. Canon IT Solutions Inc. is ESET’s exclusive partner in Japan and sells all ESET’s products under the Canon IT Solutions Inc. brand. 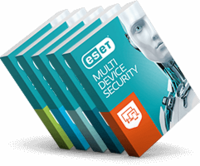 “We offer complex services for our customers including IT security solutions, where we offer ESET business products. We are happy that our solution containing ESET business products was listed in two independent surveys conducted by Nikkei Business Publications, Inc. and won,” said Shinya Kondo, Group Executive of Security Solution Business Division at Canon IT Solutions Inc.
Nikkei Business Publications is a cross-media company providing businesspeople with high value-added information on management, technology, and life. As the most trusted business information publication in Japan, “Nikkei Business” founds and bolsters the business knowledge base of professionals throughout the country. Nikkei BP's absolute editorial advantage lies in its staff writers, a team of highly specialized in-house journalists. These writers include those qualified in Information Processing Engineering and other specialized backgrounds. Nikkei BP journalists gather information first-hand from their personal network of resources and are able to swiftly write quality articles in a clear, concise style. About Canon IT Solutions Inc.
Canon IT Solutions Inc., an independent system integrator, provides construction, operation management, maintenance, and other services related to information systems in Japan. The company’s services include IT system consultation, system integration and development, post-implementation system management, help desk, security, network, housing, ISMS, personal computer asset management, and hosting and MSP services. It also provides services in the areas of development and retail of computer systems and self-developed systems. Canon IT Solutions Inc. was formerly known as Argo 21 Corporation and changed its name to Canon IT Solutions Inc. in April, 2008. The company was founded in 1982 and is headquartered in Tokyo, Japan. Canon IT Solutions Inc. operates as a subsidiary of Canon Marketing Japan Inc.